In Mark, chapter 6 at verse 52, after Jesus had gotten into the boat, after He had walked on water, after the disciples were amazed, not amazed because of their belief, but amazed because they never expected Him to show up. They never ever thought He would be there to deliver them. They thought overcoming the storm was up to them. That was the problem. But He came with the intention of showing them His glory. And they missed it. Any why did they miss it? Because they hadn't learned anything from the incident of the loaves. Why? Because their hearts were hardened. 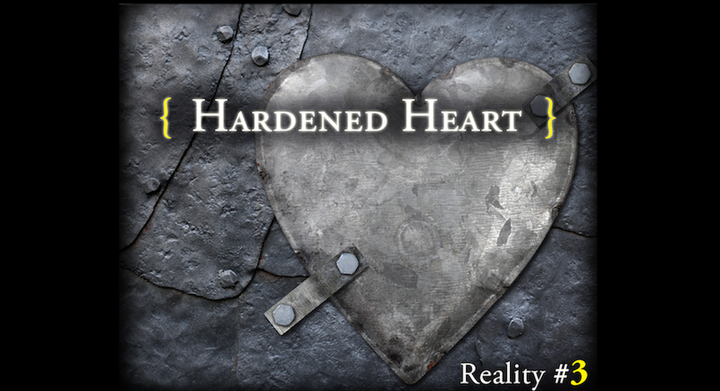 Could we have hardened hearts? That's a painful, painful, painful question to ask. If Peter, Andrew, James, John, Matthew, Bartholomew, Nathanael…if these ancient followers of Jesus who lived with Him day by day by day, if they could have hardened hearts, how can we escape? From that point on, Mark 6:52, from this point on, really throughout the rest of the Gospel, the heart is always in view. Sometimes it's right there, right up at the front of all the thinking and talking and other times it recedes, but it's there, it's part of Mark's theme because it's our Lord's primary issue. He didn't have an issue with the skills of His disciples. From what we know about them they were businessmen. Certainly from what we know about James and John, Peter and Andrew, they were successful. Matthew? Pretty smart guy, knew the numbers. Collected taxes for the Romans. So, they had skills. Significant skills. What they lacked was in their hearts. You see, the heart of the leader is the heart of the matter. So it is that we need to look at what I think of as the "Message Miracles." We've seen the paradigm miracle, Mark chapter 6, the feeding of the five thousand as a model of everything that we must do as leaders. Now we need to get the message that Jesus was sending to His men. But what we need to establish is the fact that the heart is the primary theme and then we will get to the message miracles. We see it in Mark, chapter 7. There is a confrontation between Jesus and the Pharisees who come after Him because the disciples don't keep the laws they had established. They didn't wash their hands before they ate their bread. The Pharisees were very upset. And so they asked Jesus in Mark 7:5, "Why don't Your disciples live according to the tradition of the elders instead of eating their food with--[ceremonially, spiritually in their mind]--'unclean' hands?" But Jesus responds to them and He quotes Isaiah, and He said, "Isaiah was right when he prophesied about you hypocrites;" (Mk. 7:6) Because His point with them is this, 'Your hands are clean but your heart isn't.' You see my friends, whatever is in the heart comes out through the hands. Clean hands, but a hardened heart creates tremendous problems. In fact, Jesus says as He quotes Isaiah, 'These people honor Me with their lips, but their hearts are far from Me.' (Mk. 7:6; cf Is. 29:13) God says, "I the LORD search the heart…" (cf Jer. 17:10). It's the heart that is critical to Him.